The popularity of social proof has come from its ability to show popularity. When people see that products are approved and used by others, this can sway their opinions and drive their decisions. But social proof is so much more than customer reviews. Yet many brands don’t realize its endless possibilities. To see how brands take social proof in new and novel directions, Hubspot.com shared the strongest social media marketing strategies. 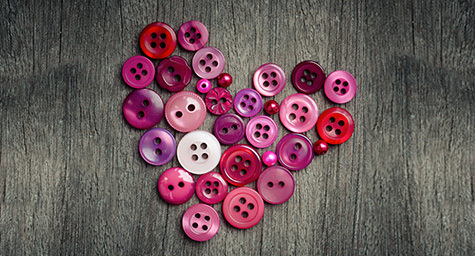 ModCloth dresses up its product pages with customer reviews and heart buttons to show the items that other people love, which can sway a buyer’s decisions. While many brands use these tried-and-true tactics, ModCloth goes a step beyond by asking users to submit images of themselves wearing the site’s clothes and accessories. This user-generated content can be more persuasive than seeing items on perfect models because it shows which products are loved by their peers. The athletic brand knows that social proof comes from both everyday customers and world-renowned celebrities. These celebrity endorsements can be very influential, which is why the brand displays hero images from their leading endorsers, along with a full list of other celebrities who choose to use Puma products. The e-commerce giant upholds it good name by including bad reviews. Amazon understands that consumers want to know every side of a product’s story and come to their own decisions. Some negative reviews come from buyers who had different expectations, which shouldn’t detract from a product’s value. By showing the bad with the good, Amazon is proving that even negative social proof can be a positive for a brand. Booking.com has welcomed social proof into every part of the booking experience. When users search on the site, each result includes star ratings with approval symbols and the percentage of positive reviews. They also highlight the length of time since the last booking to show the approval of others. To add a sense of urgency, they feature the number of other people currently looking at the hotel and how many are rooms are left. When a hotel’s link is clicked, users can see the breakdown of the hotel’s scores and read reviews from verified guests for the assurance of accurate information. The online clothing community designs its selection through crowdfunding. Betabrand uses this unique kind of social proof to show which products prove popular enough to earn their needed funding. When they feature a possible product, they include information like its distance from the funding goal and comments from buyers. These elements show people that others approve of a product, which can color their personal views. Social proof has many sides, and all can be influential to a buyer’s views and the products they choose. Discover the latest in social media marketing. Contact MDG Advertising today at 561-338-7797 or visit mdgadvertising.com.